What happens if my tray or ute tub is damaged? 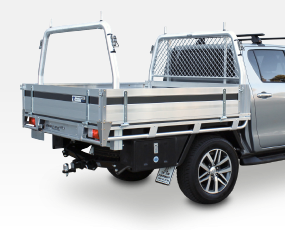 If you are in the unfortunate position of finding that your tray or ute tub has been damaged in an accident or just over use we are here to help. 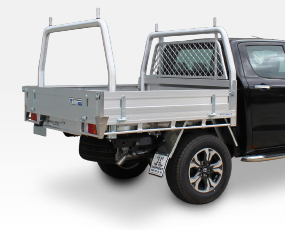 We can repair your Tip Top Equipment Tray or completely replace any brand of existing tray, or your original tub with one of our Alloy or Steel trays. For all Tray Replacement or Repairs enquiries for existing Tip Top Equipment trays please advise the Tray Serial Number. How do I get assessed and quoted for repair? To ensure that your Tip Top Tray is repaired as new and warranty is continued make sure that it is brought to us so we can assess the damage and have it repaired by our expert tray builders. 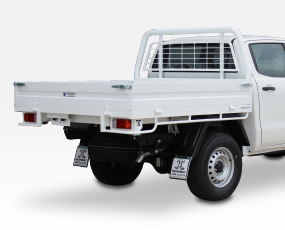 We will use our own suite of parts specifically designed for your tray and have you back on the road, looking near new in no time. Even your smash repairer or insurance company can fill in our easy online form if they are looking after it for you. We will need a number of photos of the damage and the vehicle to aid in the assessment process. We can often assess the damage via these important images which will save you time. Simply upload your images via the online form. What if I need a full tray replacement? If your tray or tub is damaged beyond repair or if you just want a newer better tray then simply complete our online form to arrange for one of our specialised sales staff to get the ball rolling. If your tray is a Tip Top Equipment Tray we will need to assess it to advise if a full tray replacement is required or simply a just repair is necessary. We will also need a number of photos of the damage or the existing tray fitout and accessories to aid in the assessment and quotation process. We will prepare your quote based on these important images. Simply upload your photos via the online form. We will get back to you, your smash repairer or your insurance company with a quote and answer any questions you may have. Please feel free at anytime to contact us on 02 9472 8700 to discuss your needs with one of our friendly team. Where is the Tray Serial Number Located? How does my vehicle get booked in? 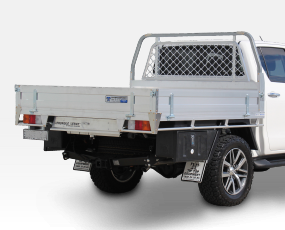 Once we have received a signed quote acceptance and 50% deposit, our Operations Department will be in touch with you, your smash repairer or insurance company to book in a date for when the vehicle needs to be dropped off to our workshop in Mount Kuring-Gai. After the repair or replacement is complete we will notify you for final payment, once received your vehicle will be ready to be picked up and back in the traffic. need an assessment on the spot or to check out our optional accessories.